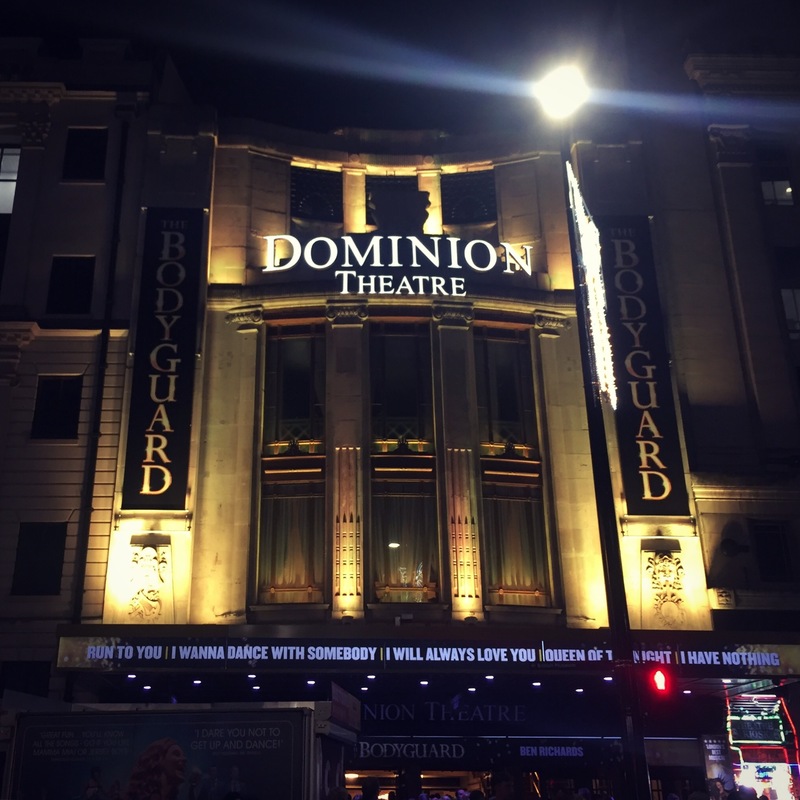 Last night I was lucky enough to go and see The Bodyguard at the Dominion Theatre before it closes in the new year, and even got a backstage tour afterwards (thanks to a friend of mine working on the show – I owe you one!). So, as usual for every new show I see, it’s time for a review! 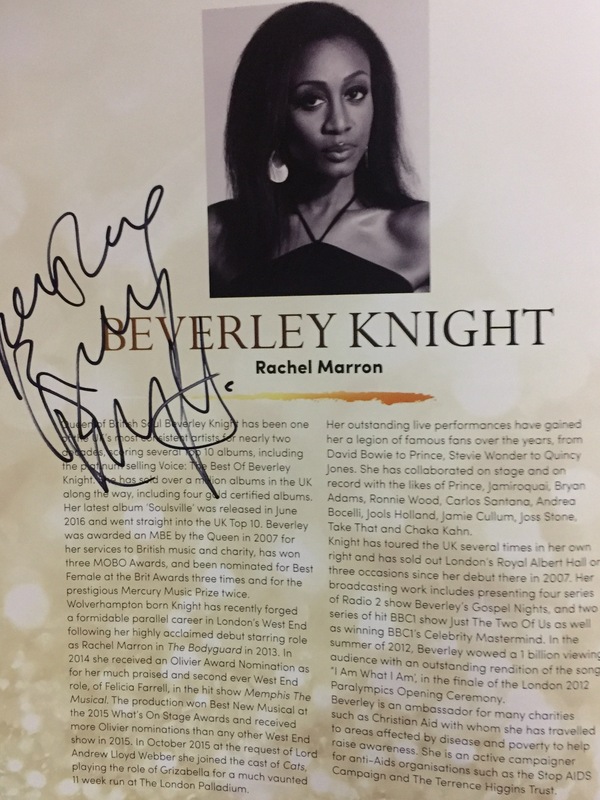 Focussing on the life of Rachel Marron (Beverley Knight), the show follows the story of the incessant stalker of a successful singer and the bodyguard she eventually falls for. Going to see a jukebox musical is always a risky move; it’s not unusual for a show of this type to have songs thrown in purely because they have to be in the show, and a storyline is loosely created to fit around a select few lyrics, making for a boring production. 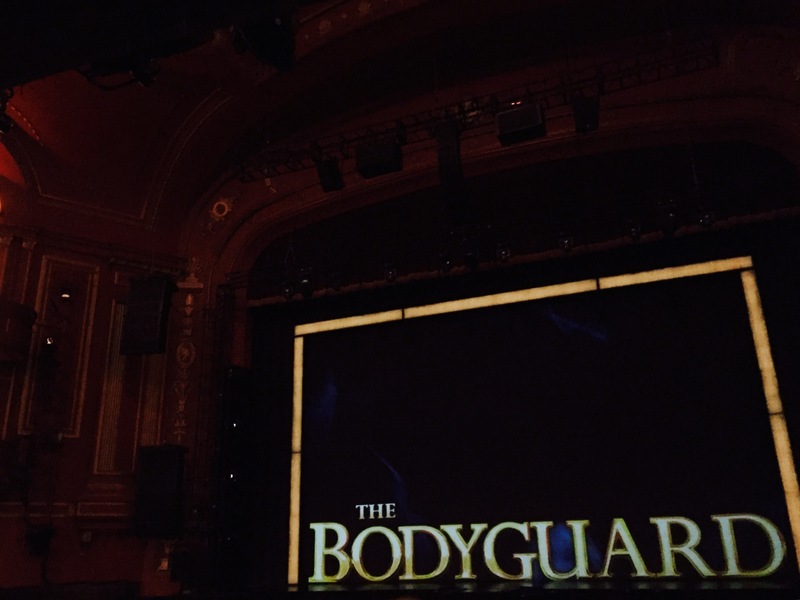 However the storyline in The Bodyguard held it’s own and was incredibly gripping, keeping me on the edge of my seat with Whitney Houston’s songs seamlessly flowing through the scenes. The show started with a bang, quite literally, as a gunshot echoed through the auditorium, successfully grabbing the attention of the audience. Immediately followed by the outstanding vocals of Beverley Knight in an incredibly energetic rendition of Queen of the Night, this made for a stunning and captivating opening. It goes without saying, but the standard of her singing was absolutely stunning, and got better with every number throughout until the final number I Will Always Love You, a hugely empowering song to close the show with. Despite some shaky accent work in some scenes, Beverley Knight’s performance was captivating and believable throughout. Rachel John, who played the role of the overshadowed sister Nicki Marron, gave an absolutely phenomenal performance. With vocals that paralleled, if not bettered, those of Beverley Knights, and superior acting skills, her rendition of Saving All My Love was one of the highlights of the show. The only number to top it was the performance of Run To You, cleverly written into a duet between the Marron sisters both confessing their love for Frank Farmer (the bodyguard). Eclipsed her whole life by the glory of her sister, Nicki grew up in Rachel’s shadow. It was a fitting, but heartbreaking, plot twist that her death was also indirectly as a result of her sister, when Rachel’s stalker mistakes Nicki for the celebrity and lashes out by stabbing her when he realises it’s the wrong woman he has found. Ben Richards was outstanding as Frank Farmer, and his inner battle between his job and his developing feelings for Rachel were clear from the outset and throughout. Ranging between a light-hearted performance of I Will Always Love You in a karaoke bar, and offering his life in the place of the celebrity’s, Richards’ performance translated well given the wooden nature of Farmer’s character as written in the script. 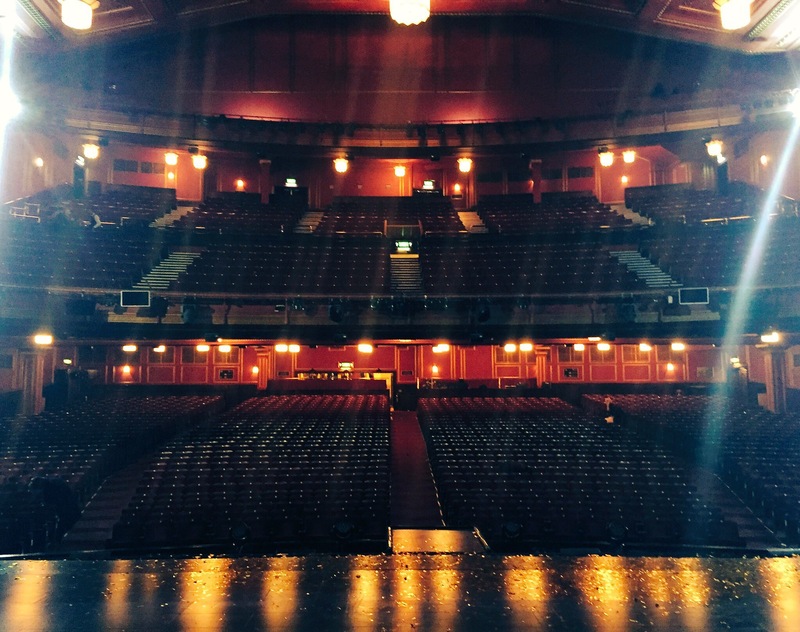 After the tour, the production team decided to keep the downsized and more simplistic set compared the the original that was housed at the Adelphi Theatre in 2014, which included a rotating log cabin. This worked to the show’s advantage, with logical and uninterrupted scene changes and sets that looked just as real and lavish as those in the original. The technical side of things was also incredibly successful, with pyrotechnics, strobe and the clever use of projections done just well enough for them to be showy without becoming tacky. All in all I had a wonderful night in theatreland with two of my closest friends; I was lucky enough to stand on a west stage (an incredibly humbling experience for an aspiring musical theatre performer), got to meet the incredible Beverley Knight herself, as well as exploring normally uncharted territories to the public such as the band pit and quick change areas.